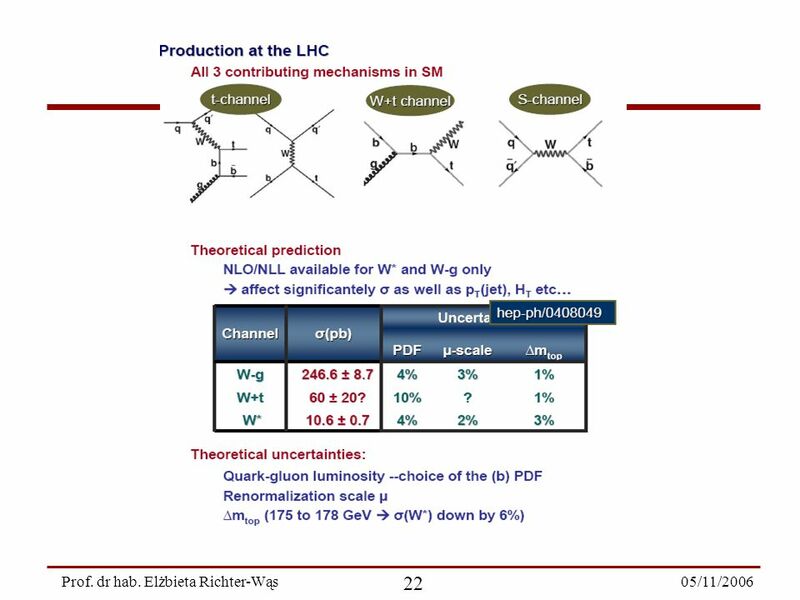 9 05/11/2006 9 Prof. dr hab. 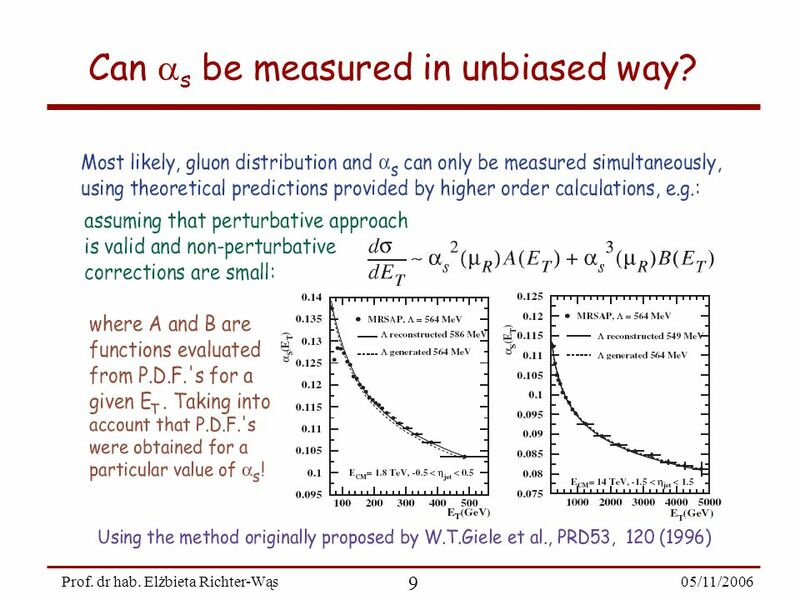 Elżbieta Richter-Wąs Can s be measured in unbiased way? 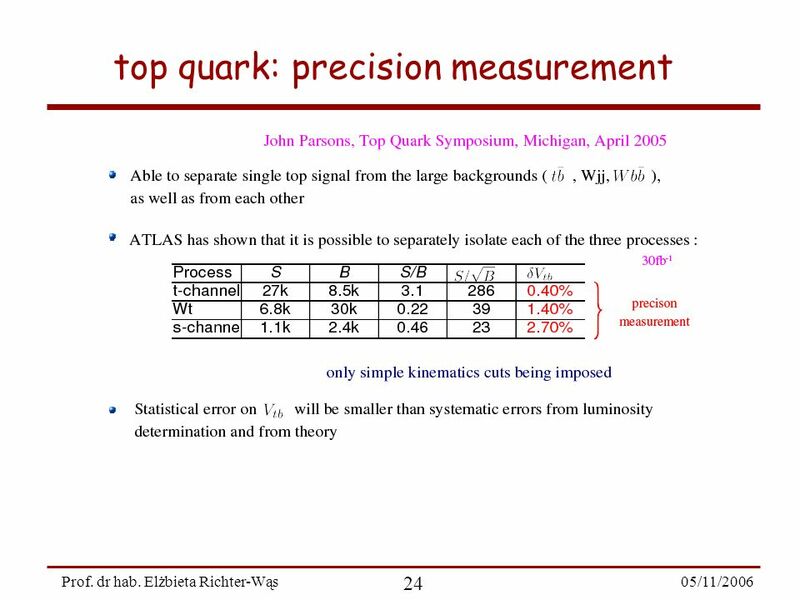 35 05/11/2006 35 Prof. dr hab. 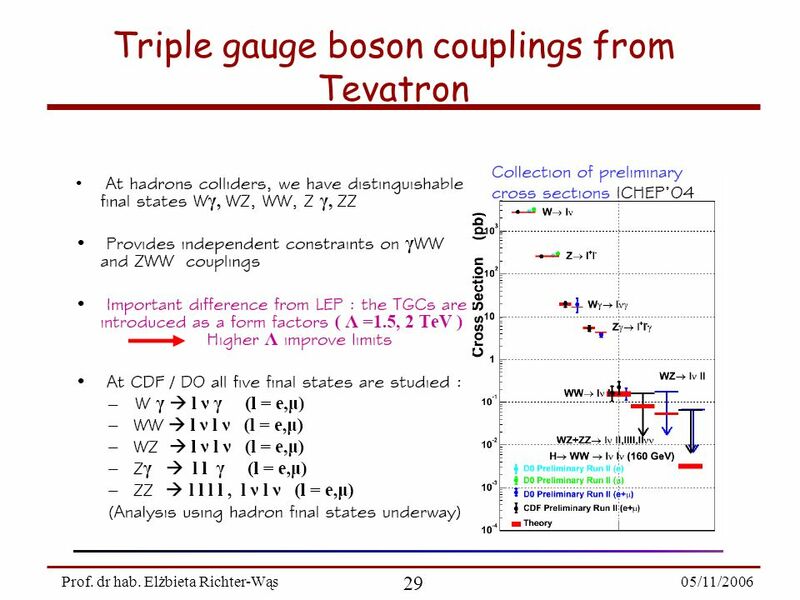 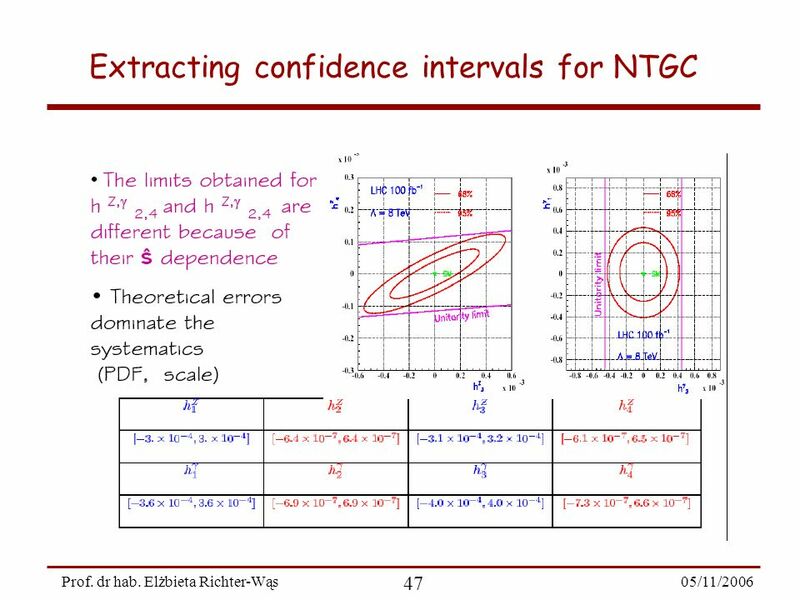 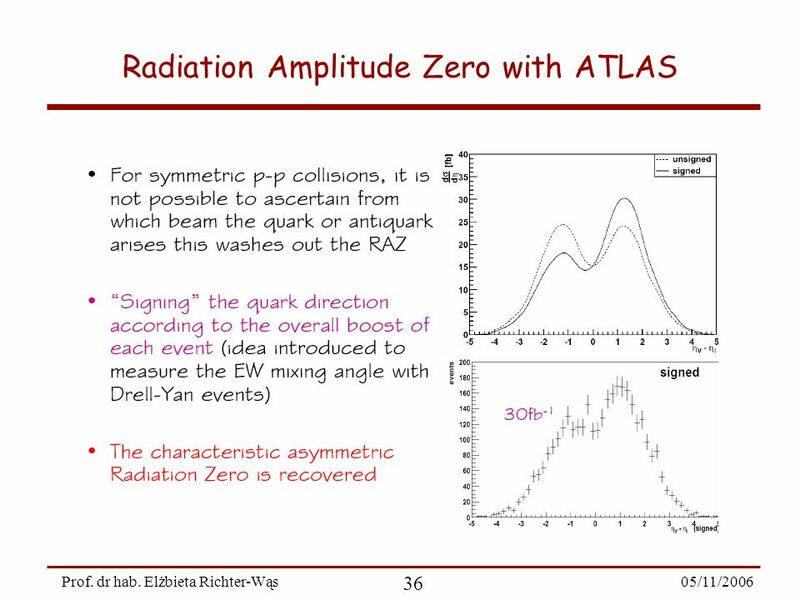 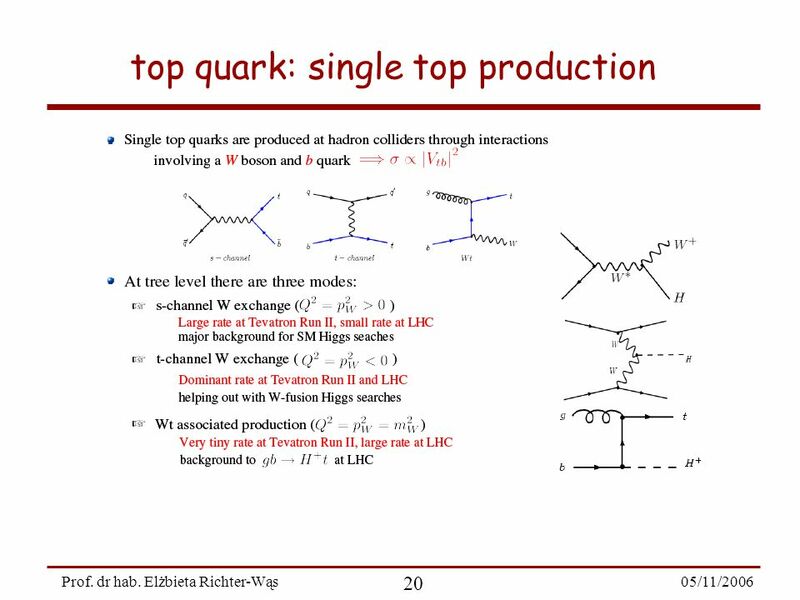 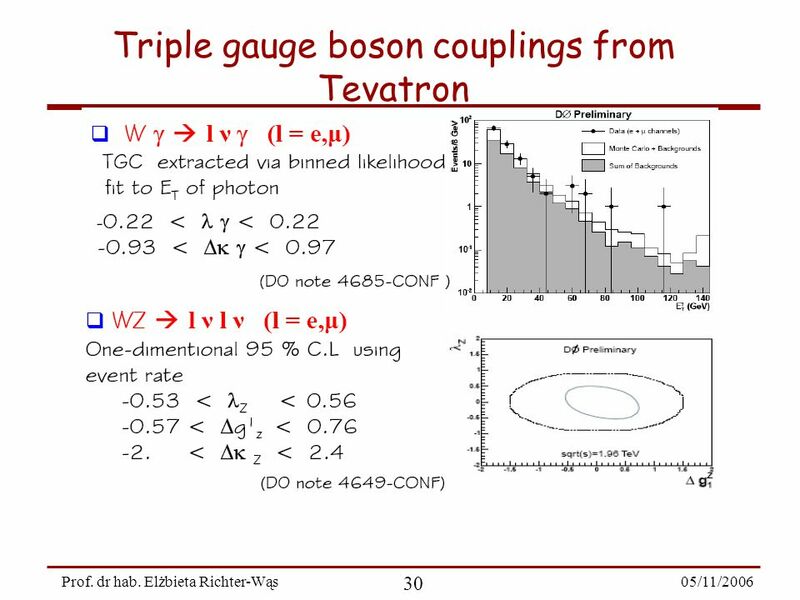 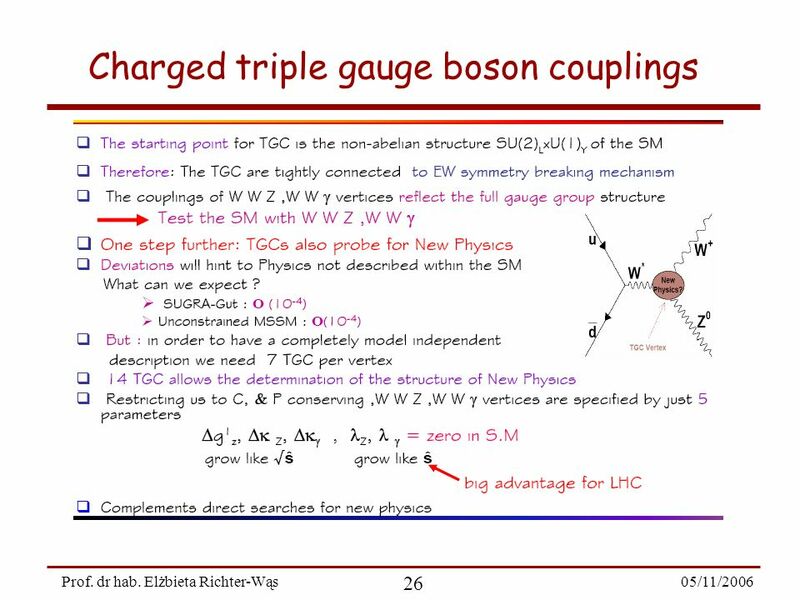 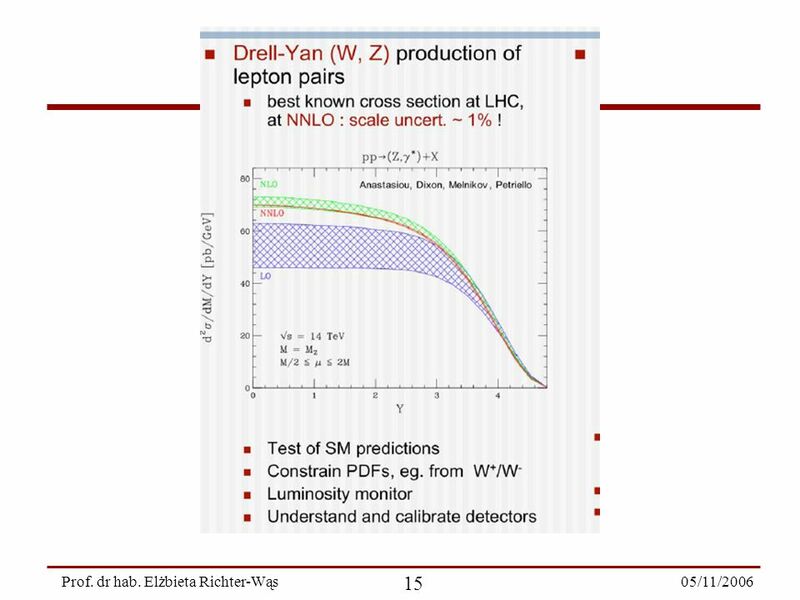 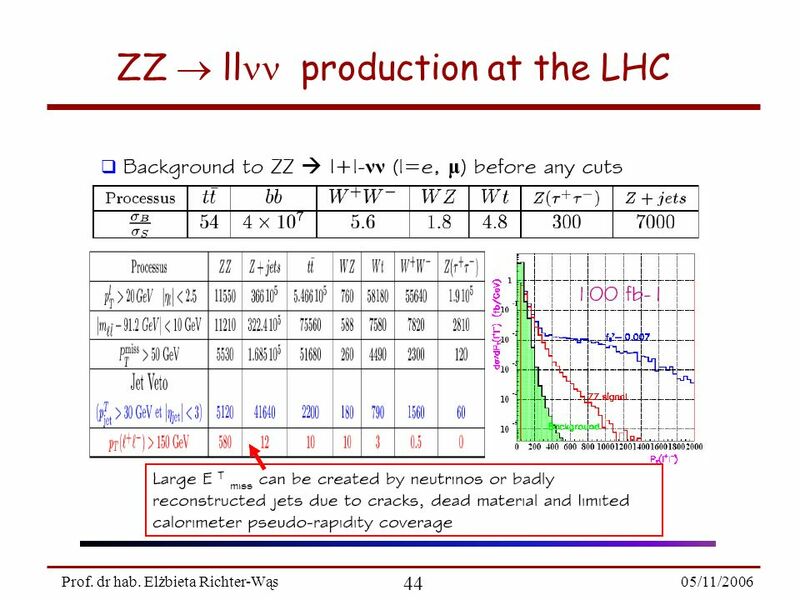 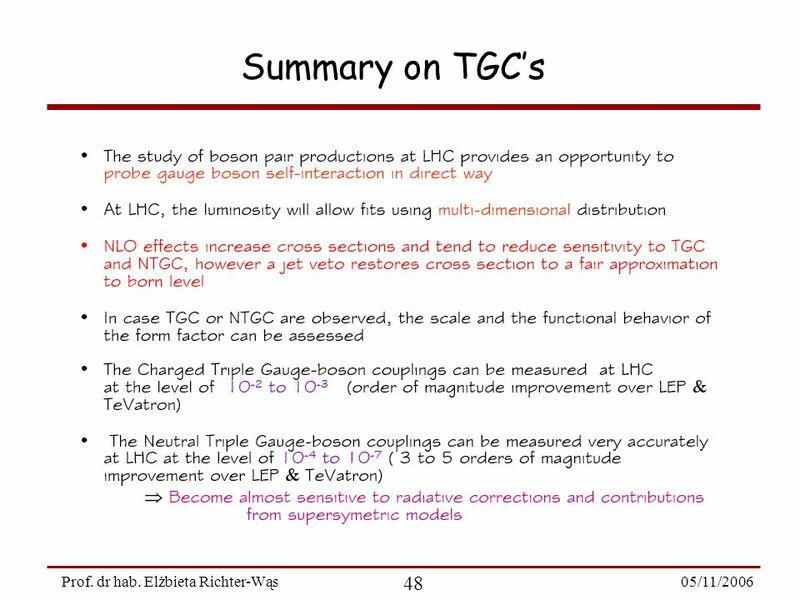 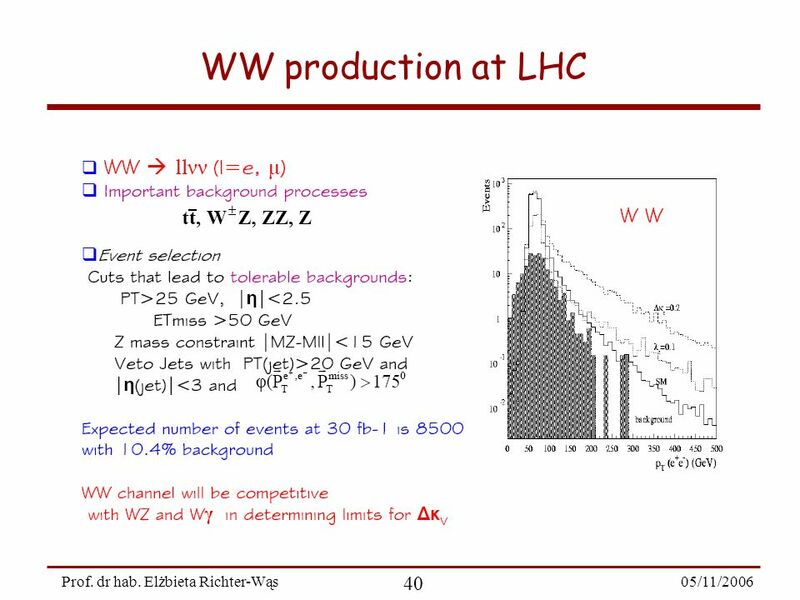 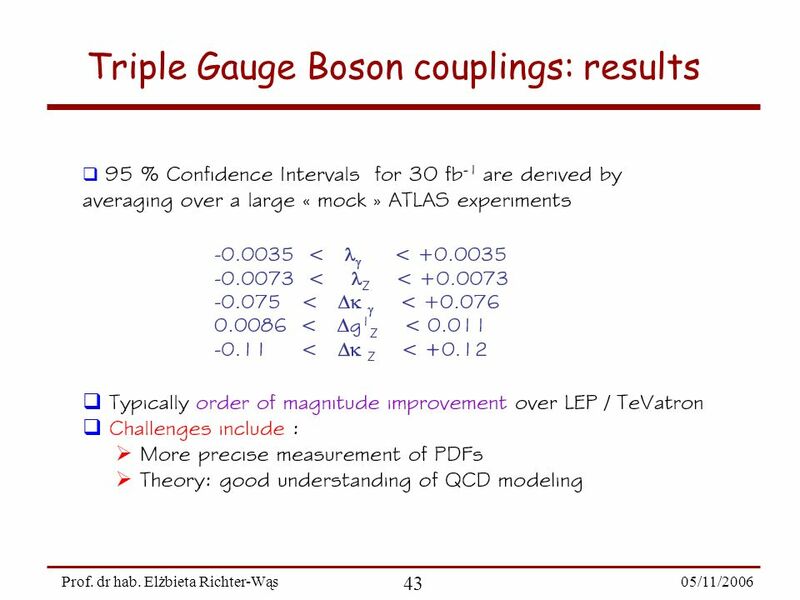 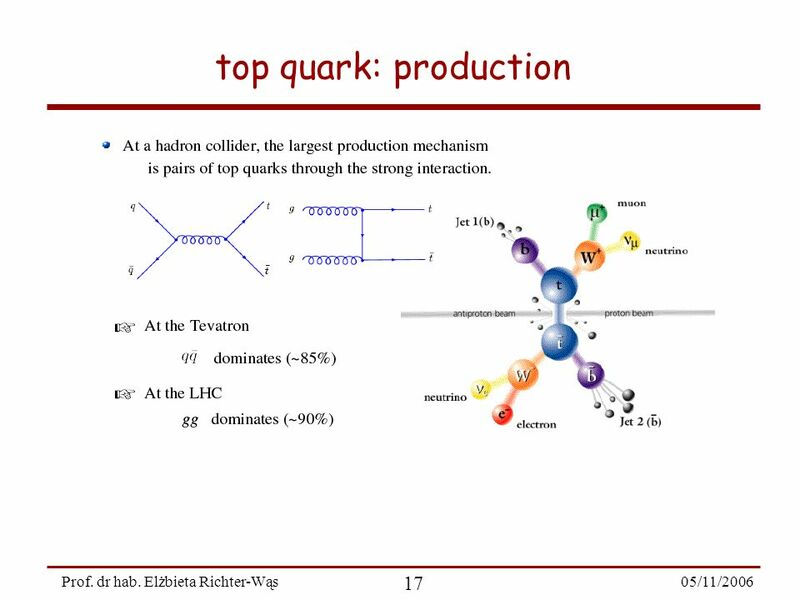 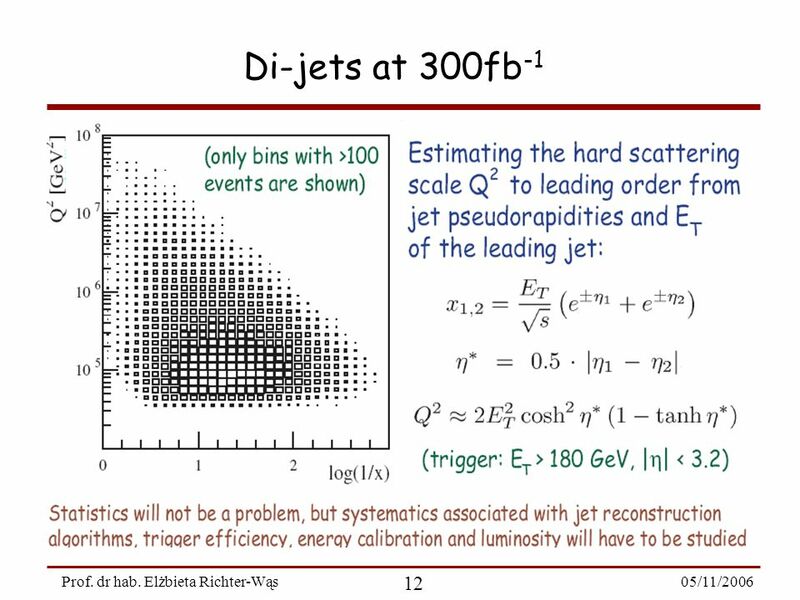 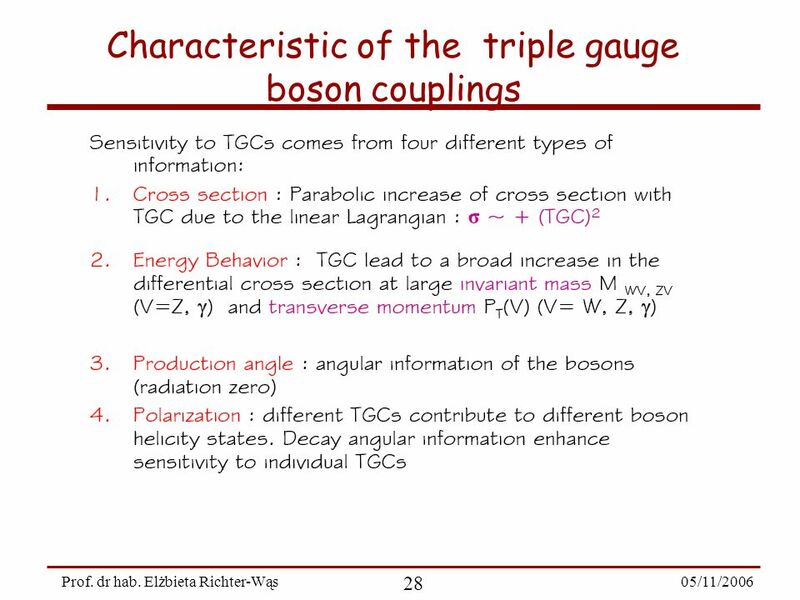 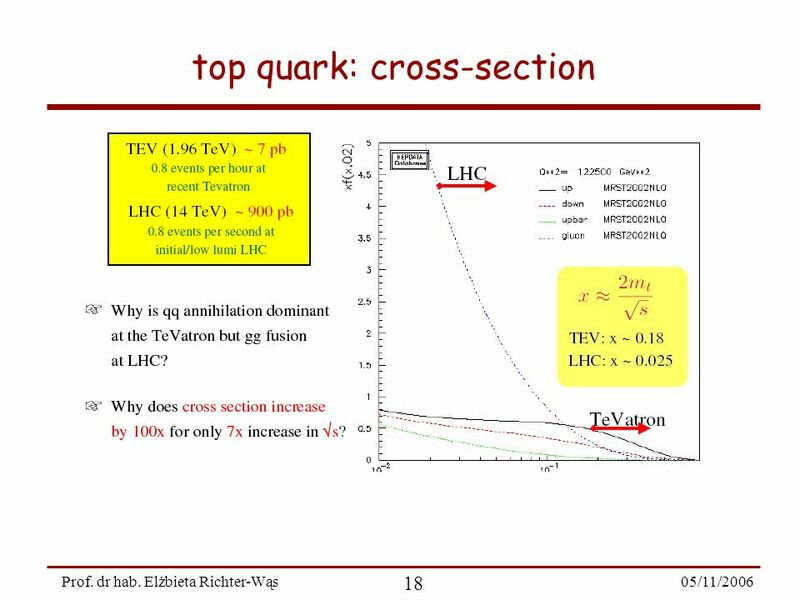 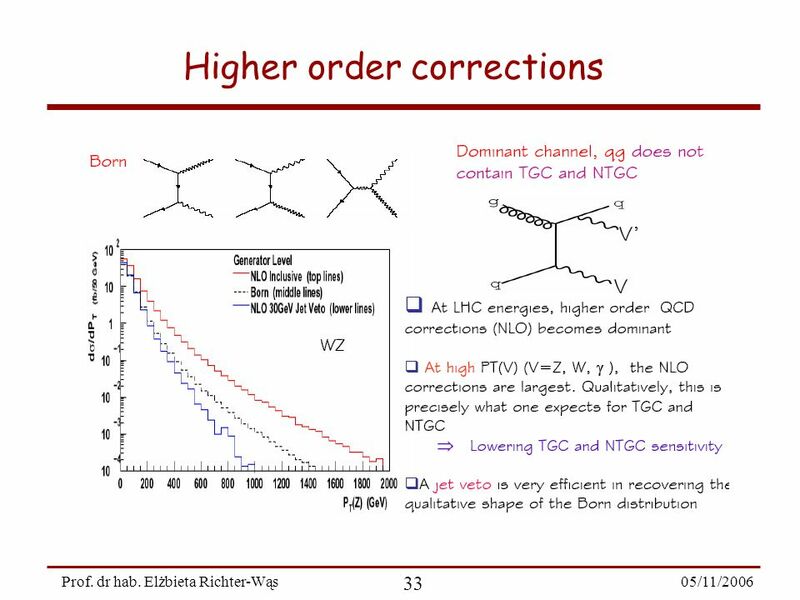 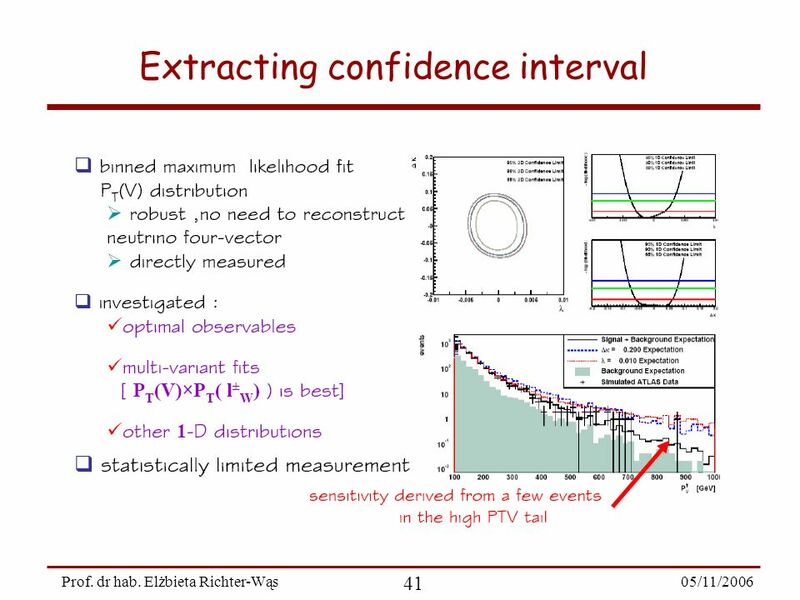 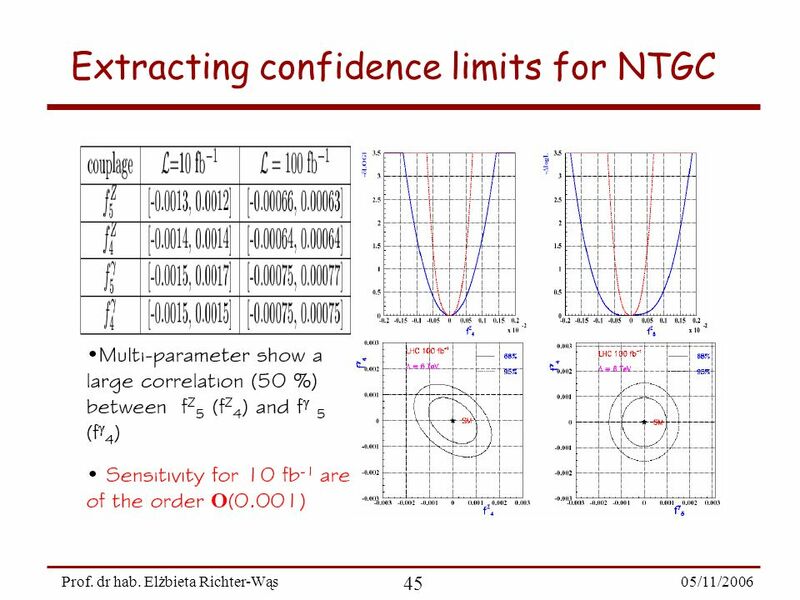 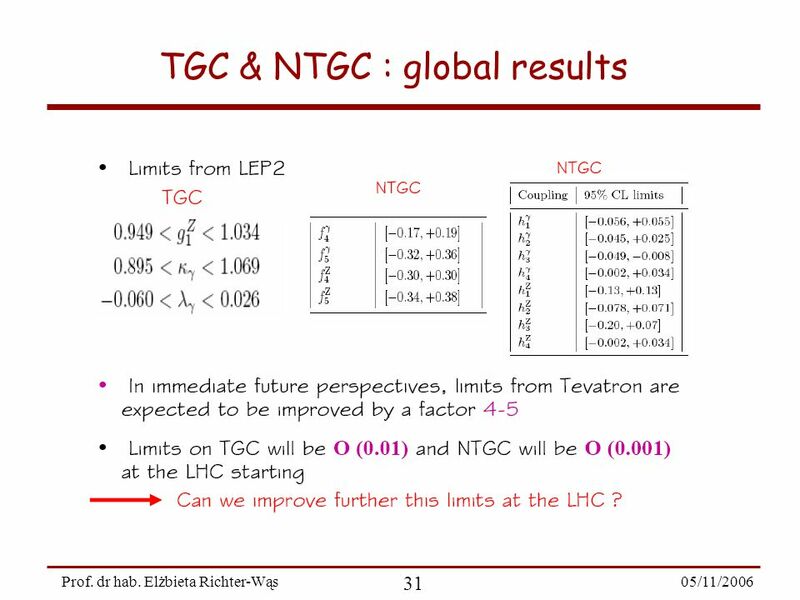 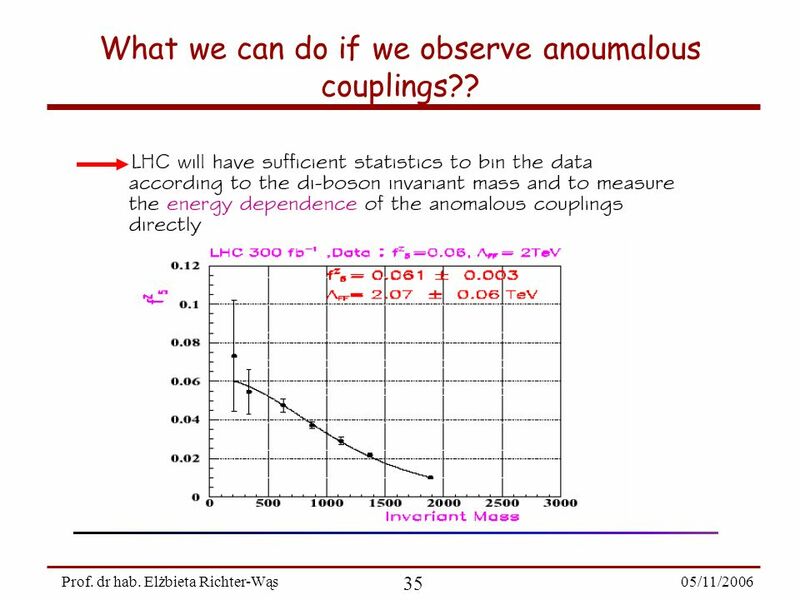 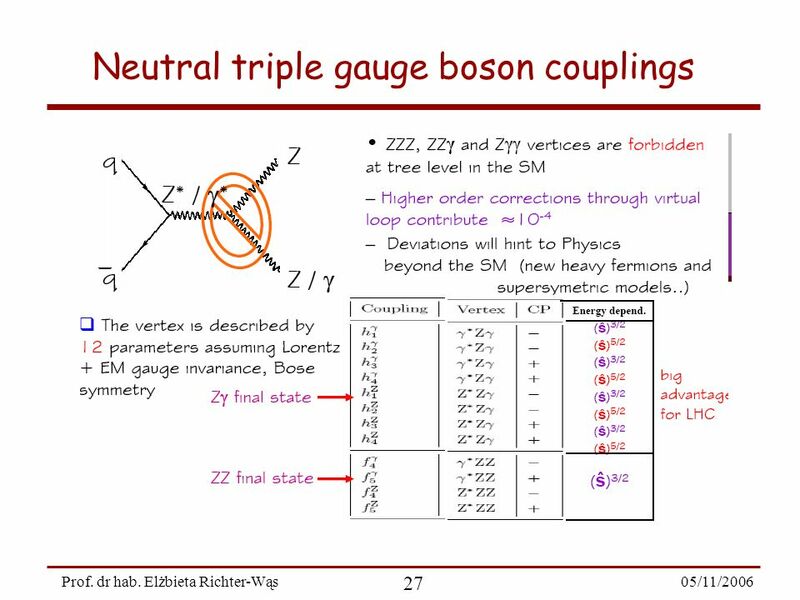 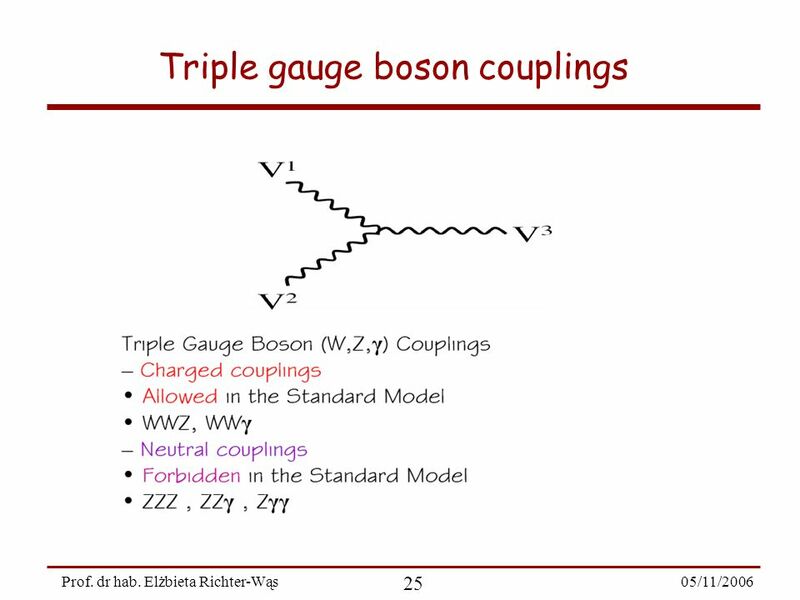 Elżbieta Richter-Wąs What we can do if we observe anoumalous couplings?? 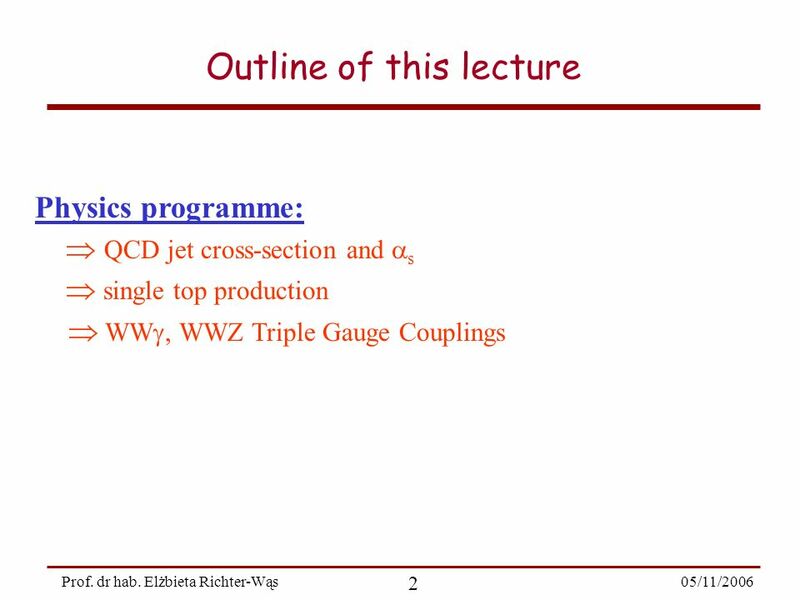 Download ppt "05/11/2006Prof. 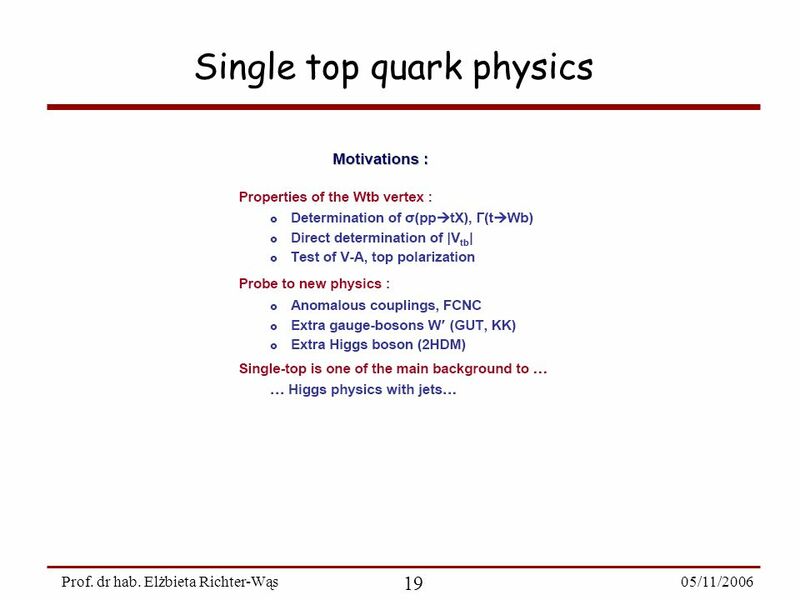 dr hab. 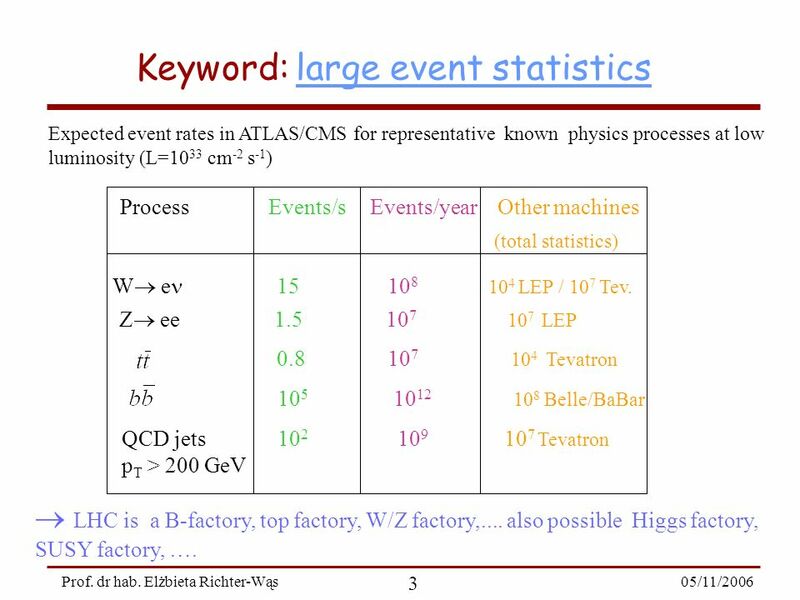 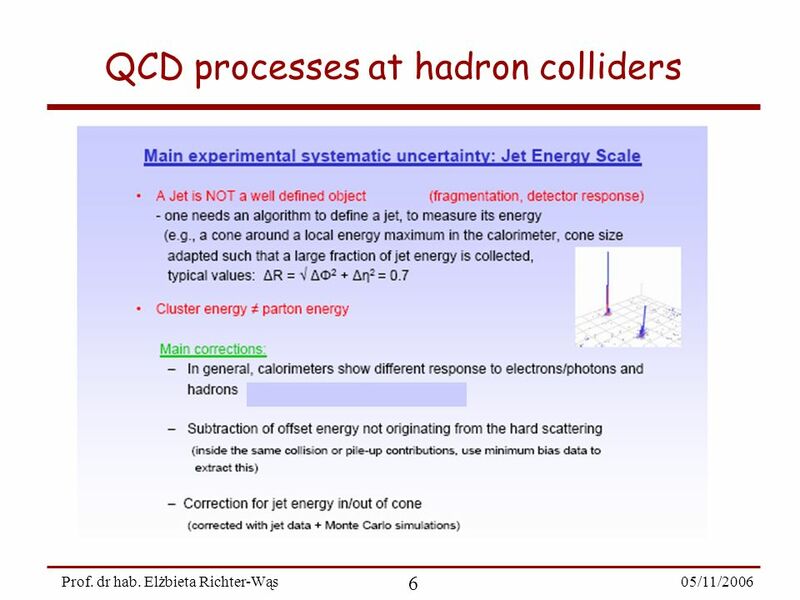 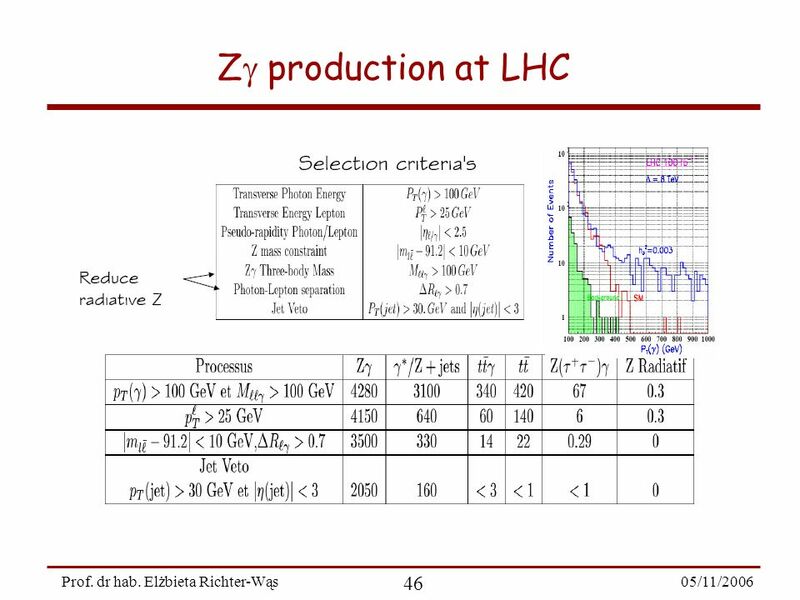 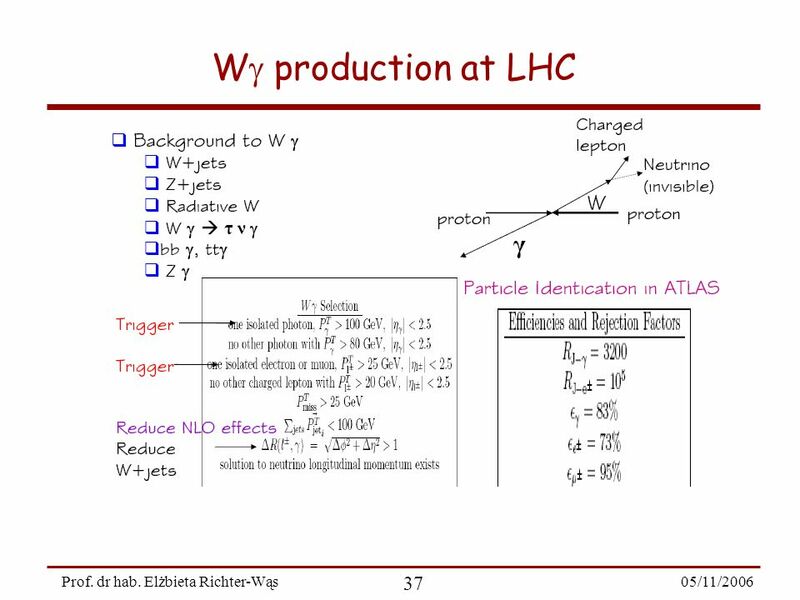 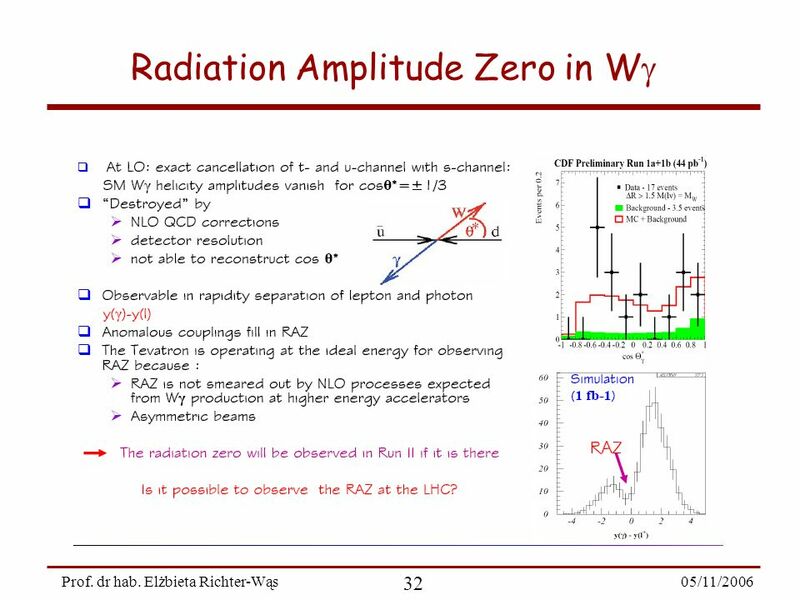 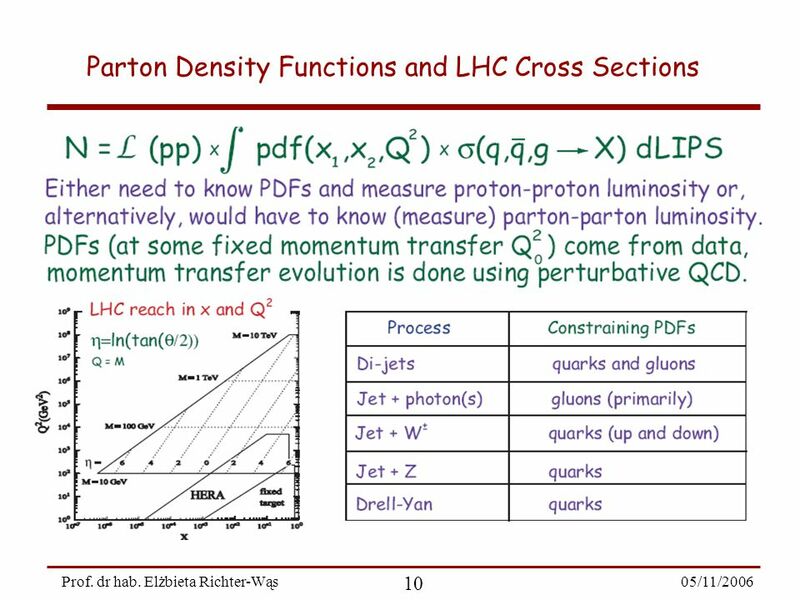 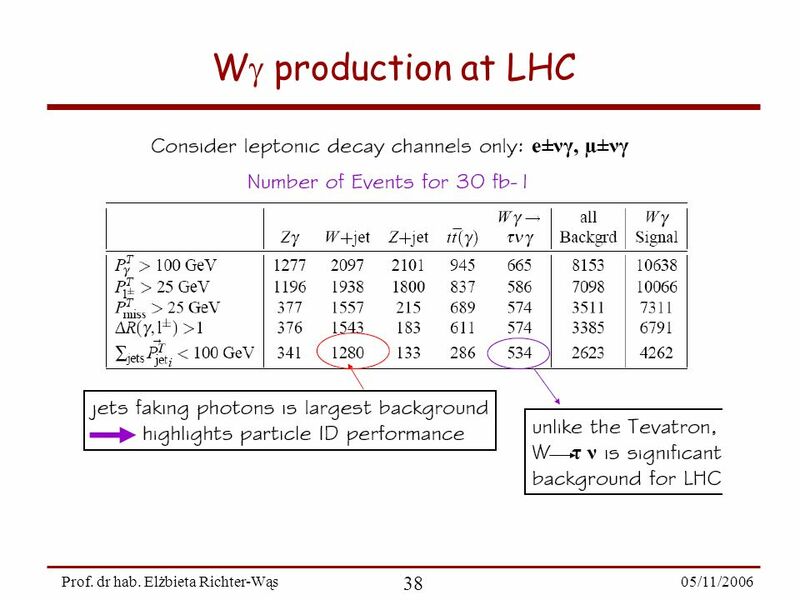 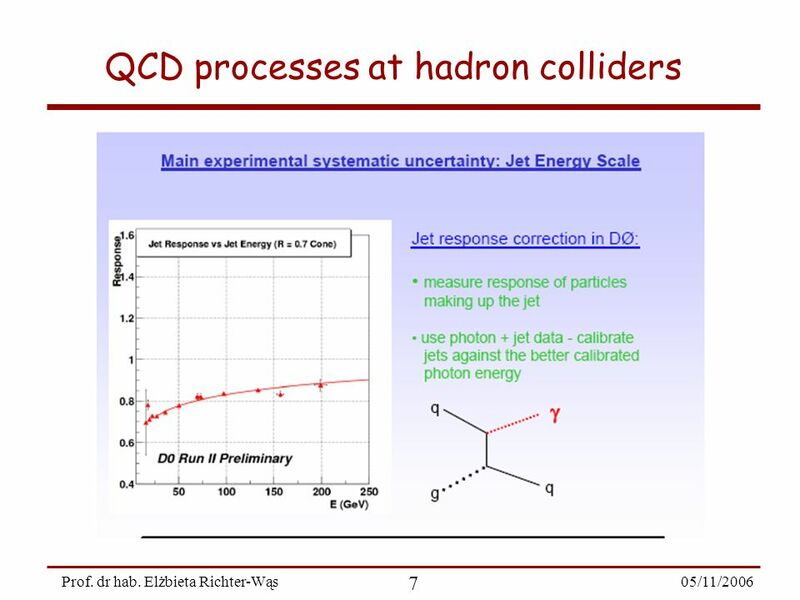 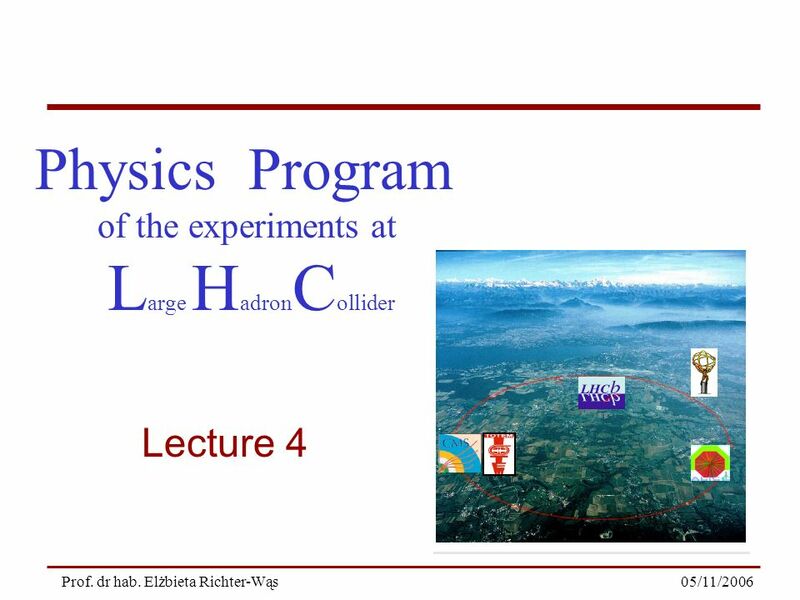 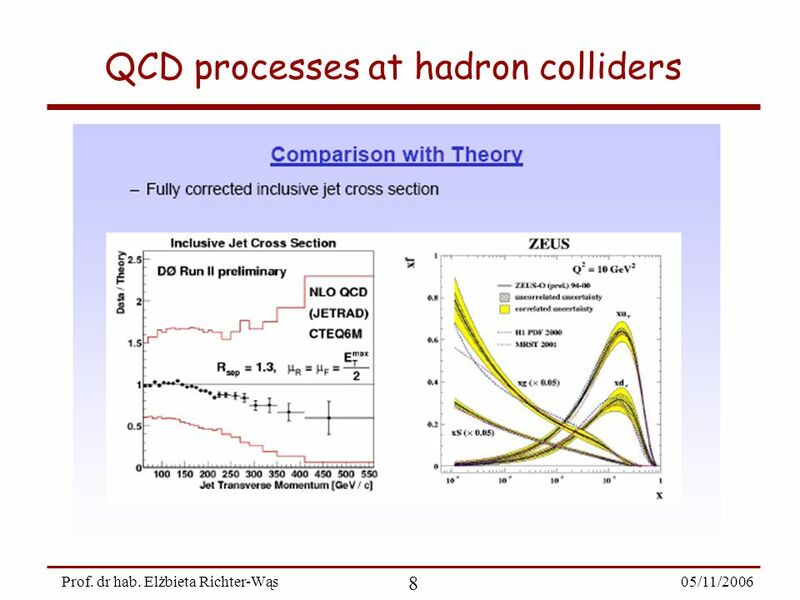 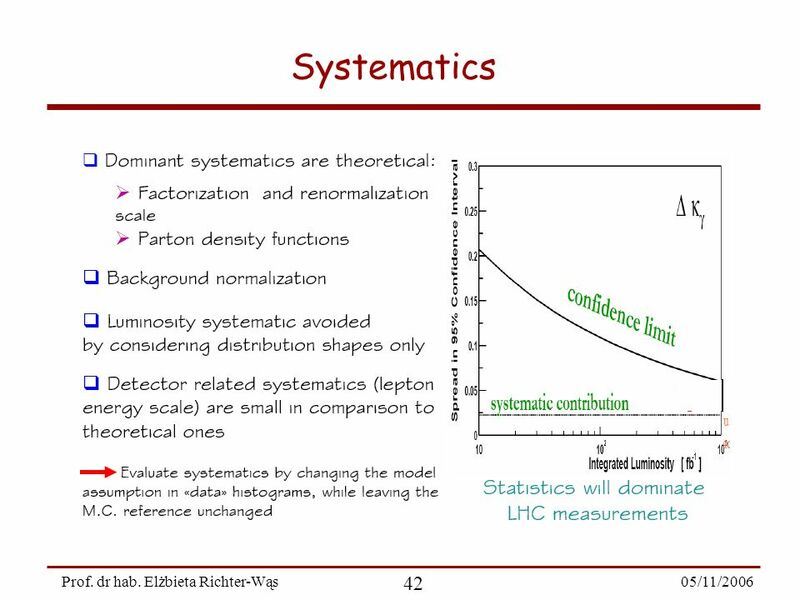 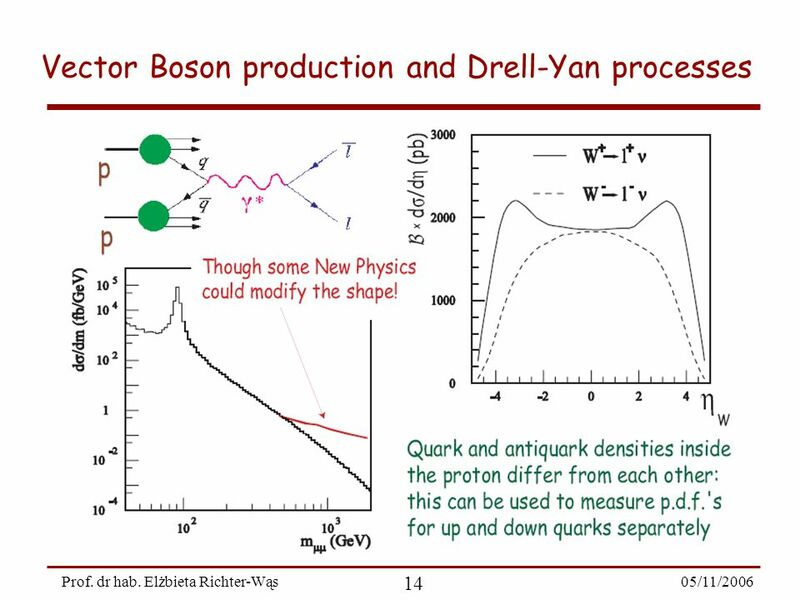 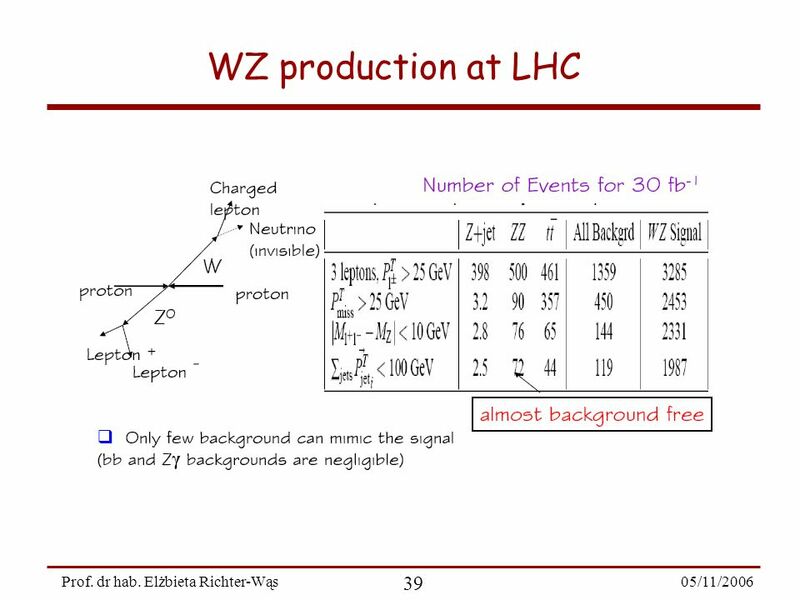 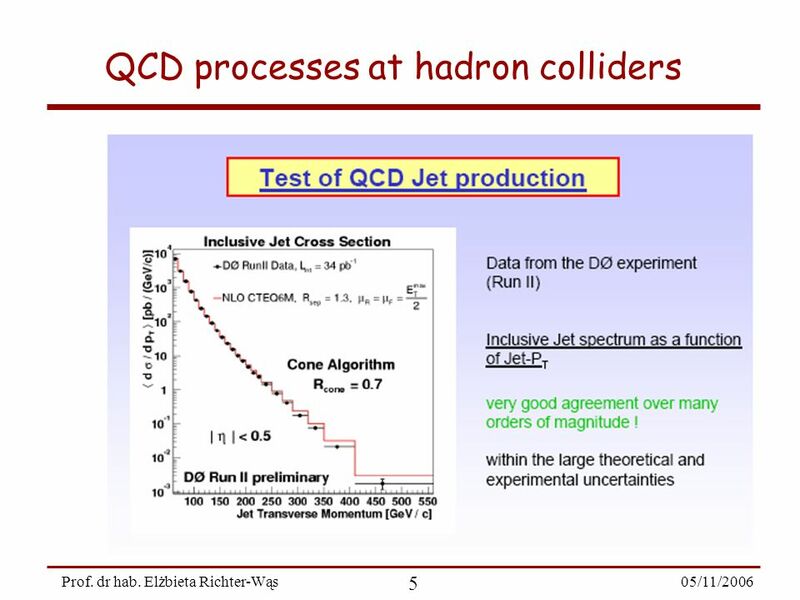 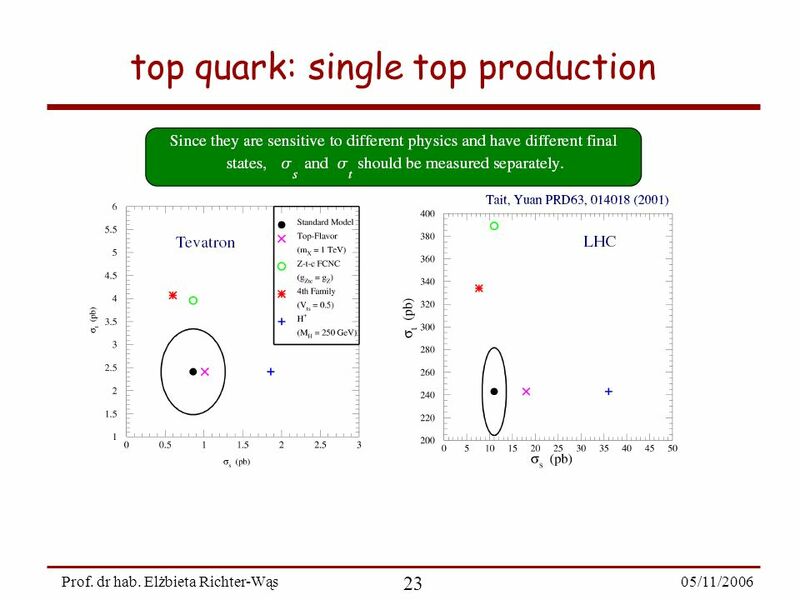 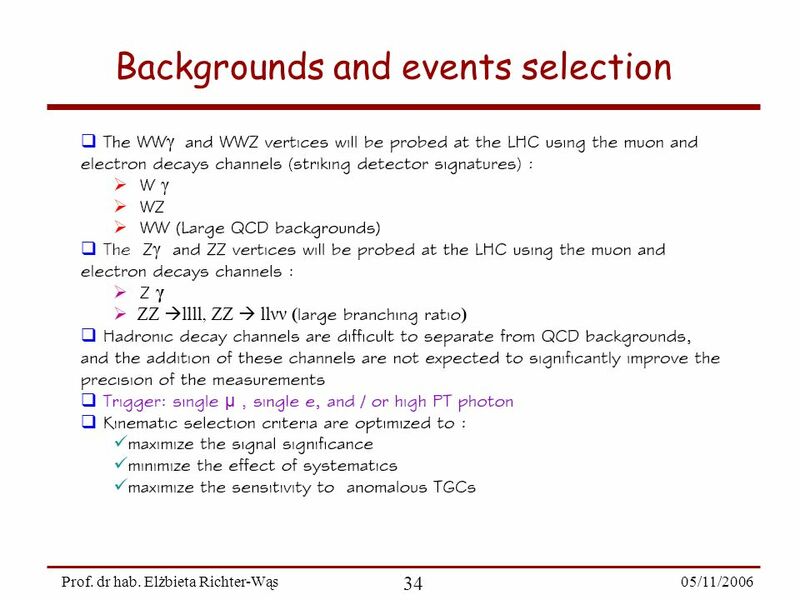 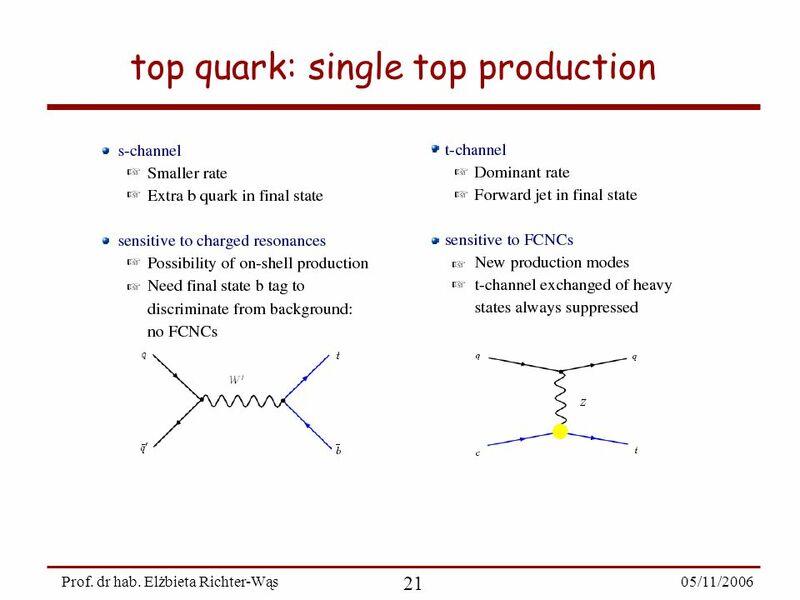 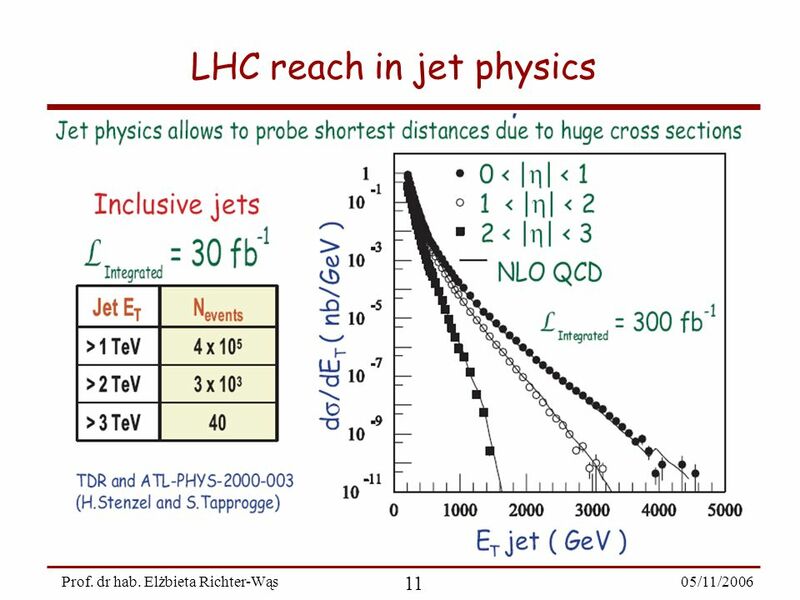 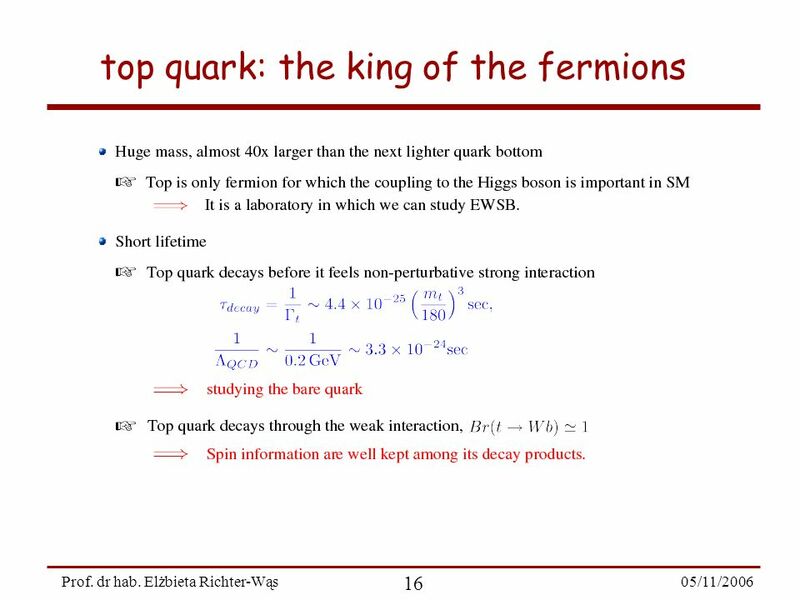 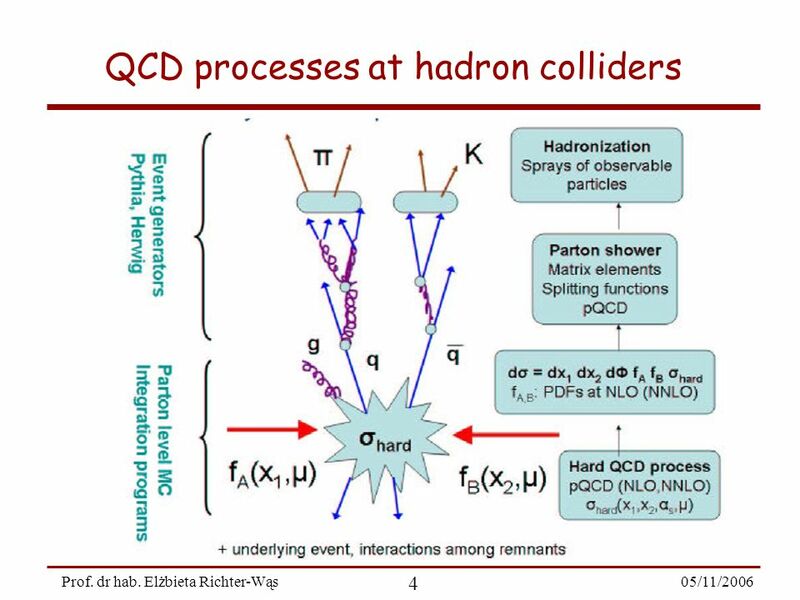 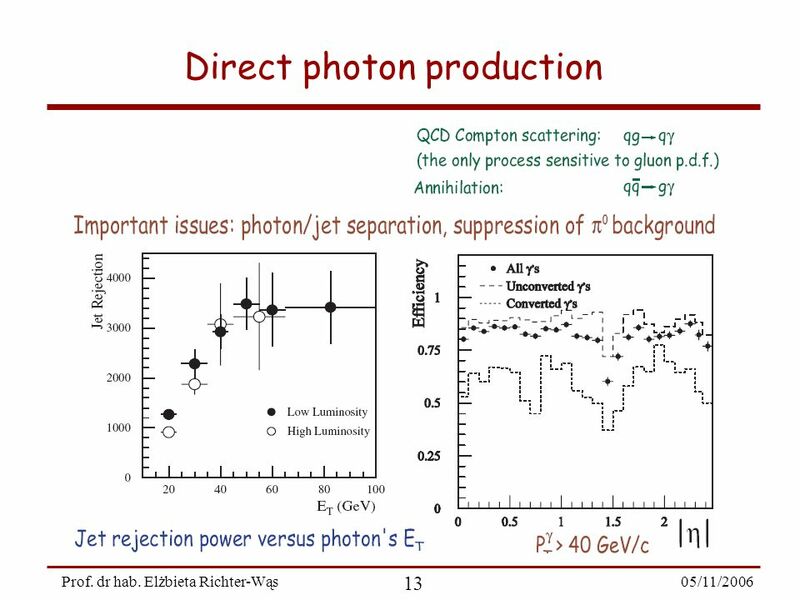 Elżbieta Richter-Wąs Physics Program of the experiments at L arge H adron C ollider Lecture 4."